Moving on from first blaming cold mothers and then older mothers for the development of autism in children, the M.D./Ph.D. researchers specializing in psychiatry are now blaming the presumably defective sperm of older fathers for the development of regressive autism in children. They are desperate to blame the iatrogenic autism epidemic on everyone but their M.D./Ph.D. 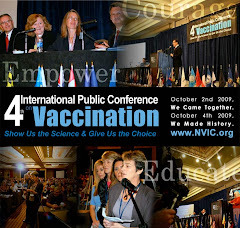 vaccine-pushing colleagues specializing in infectious disease, public health and pediatrics. In a retrospective study looking at 17 year old children born in Israel in the 1960's (when only polio, DPT and measles vaccine was being administered), researchers concluded that older fathers were more likely to have autistic children. It is unknown whether this finding could be replicated when looking at children born in America in 2003, when the numbers of doses of vaccines given to children had more than tripled. Most children suffering from regressive autism in the past two decades have been born to young fathers and mothers who will struggle as older parents to provide support for their older autistic children. The report that appears to identify old dads as more likely to cause autism in their children alarms me. Naturally, being 75 and having 3 children under 5 years old, one of whom is ASD! I’d already had 6 children by 2 wives – 3 when I was over 50 – none ASD. In the case of my ASD son, he appeared normal until after his routine vaccinations during his second year. Shortly after this we noticed a marked change. He began to appear “confused” and stopped gabbling with words like mama etc quite clear from babyhood. Now, when checked, he threw massive screaming tantrums with arched back. These could last for over half an hour in, or out, of his room. He now avoided cuddles and showed no warmth towards anybody. The paediatrician observed all this and diagnosed ASD. We were shocked. He had genetic and other tests which shed no light. He has received speech therapy, OT and Special Education. These services agree with the diagnosis. Obviously one cannot be sure that this was caused by vaccination. That would be a post hoc fallacy, I believe. Our second boy was lately due for his booster vaccination. We said that we wanted time to consider this. The lad is perfectly normal. Suppose the same thing happened again. And we have a third boy now. The GP reassured us that vaccination could not cause ASD – “It’s been proved that vaccination does not cause ASD.” She was rather upset to be reminded that nothing can be absolutely proved by science. To be scientific it must be capable of disproof – any high school science student should know that. Can one vaccinate ones child when there is so much doubt? 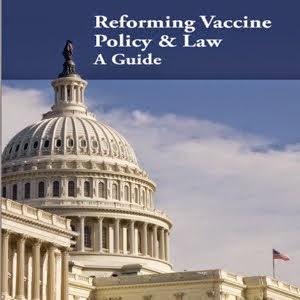 How will one feel if ones un-vaccinated child dies of a disease preventable by vaccination? I have always believed that sanitation, hygiene and vaccination have done more to prevent disease than doctors and drugs. Talk about a dilemma! It is interesting that there was much speculation whether Tony Blair, Prime Minister of the UK, allowed vaccination of his last child. Did he?